Re: tlv-ewr 333 round trip wow How much longer are we gonna suffer from these WOW "deals"? Yammers trip to Yellowstone-Great Tetons-SLC ( Mr.,Mrs. & Tiny Tot (TT)) So here we go. My real vacation planning started when I confirmed with a relative that will move in for the week (Sunday-Friday) to babysit the pack. Once that was confirmed we went ahead with what we've been thinking about for a while. Where to go with Tiny Tot (TT)? After going through the options, we settled on Yellowstone/Teton. It seemed like a good option with a baby. 1. Would travel at our own pace. So after searching airports we immediately saw that we had an issue. While there was a direct flight EWR-BZN on the return the only direct flight was from SLC. That would be a solid 5hr trip from the Grand Tetons. On the other hand traveling with TT with a stop was a recipe for disaster. With that in mind we started the search for Tickets. There was only 1 direct flight into BZN. UA. And of course there was no Saver awards available. So we kept checking and 4 weeks ago ( no $75 charge ) we found availablity. But for the way back there was no availablity with UA. There was with DL but that was going to JFK and would complicate parking my car at the airport. I checked the seat availablity on DL and it seemed pretty safe to wait. So we rebooked the UA EWR to BZN every day( hoping that we wouldn't​ run into an Issue with Shabbos) and lo and behold on Friday availability opened up on SLC-EWR and we had our flights booked. Prices on hotels were crazy. In west Yellowstone ( our destination choice ) The Holiday Inn was $399 a night ( No IHG availablity ) Days Inn $289 etc. They were the only ones with point availability. We ended up booking the Days Inn with Whydahm points, which was the same price for the king's suite @15k per night. We then booked in Jackson ( in the Grand Tetons ) for 35k Marriott the brand new Springhill suits ( opened on May 15 ) and left the SLC to worry about later. Then came the car rental. I've been dealing with car rentals for a long time so this was really a shocker. Avis,Budget & Enterprise didn't allow any one way reservations at all. With National I hit a road block. I burned though the entire list ( that didn't have built-in LDW) nothing did anything for unlimited miles. Even Honeywell came with just 700 miles included. I would need close to 2000 miles ( @.4 per mile..) Hertz the same thing. ( Btw no executive or President isle at either...) After wasting waaay too much time I booked with risk ( after being warned by some DDFers ) hoping for the best for $250. On the Friday before the trip thrifty went down to $300 so I booked that for backup which relaxed the situation. Got some tips about Yellowstone from @somethingsfishy and @whyme at a little DO I had my trip planned. And so we we were finnaly ready to go. Just a short little final installment. We went to Shevet Ahim shul for Shabbat and there wasn't any kiddush there that week. I just wanted to note that because others have been and had full kiddush lunches there but I wouldn't count on that. Our return flight was early Sunday morning so we mostly just packed up after Shabbat. 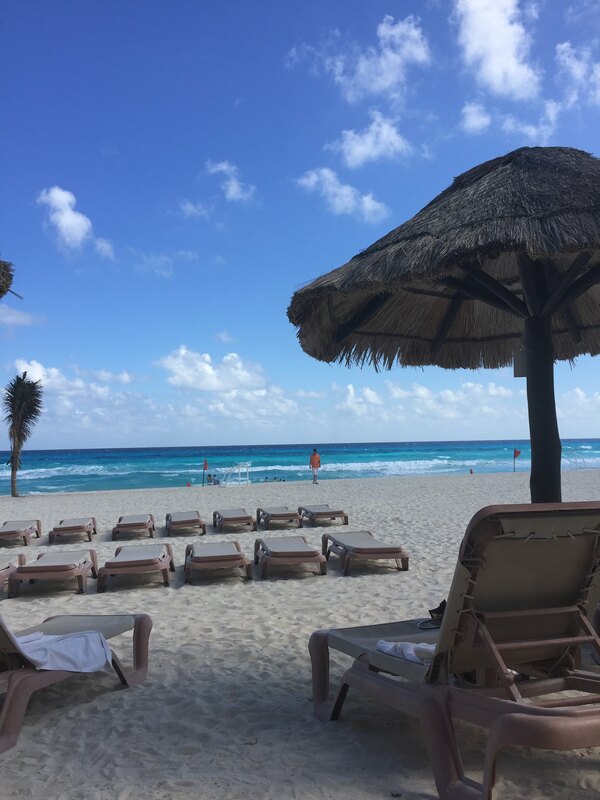 I was having trouble finding good saver flights/connections for us back to Denver so I booked us on a Copa flight to Cancun, with two nights at the Westin Lagunamar and then a direct United flight back to Denver. We arrived early to the airport but the line to check a bag for Copa was INSANE and in the future, if I have to check a bag I would only fly on Copa out of PTY if I was in J. The line didn't move at all and was total chaos. Because our tickets were booked with SQ miles we couldn't check in online and really I can't empasize how bad the experience was. If you are returning home in Y, try your best to book a flight on United or American where they don't have crazy lines and (hopefully) are more efficient. The only way we made our flight was my husband losing his cool and literally screaming at an agent to let us go to the Business Class line. After that, immigration was also super slow so we ran to the gate and got there as they were boarding. Once we were on the plane, I think it was nicer than United and they had great IFE at each seat so my kids were super happy. The flight to Cancun was quick and uneventful. When we arrived there the airport had all the things that I was worried about in Panama (but never happened there), literally getting rushed by people trying to pretend they were with taxis, selling timeshares, just being shady and causing general discomfort, etc. In the end we found a taxi and headed to the Westin Lagunamar. 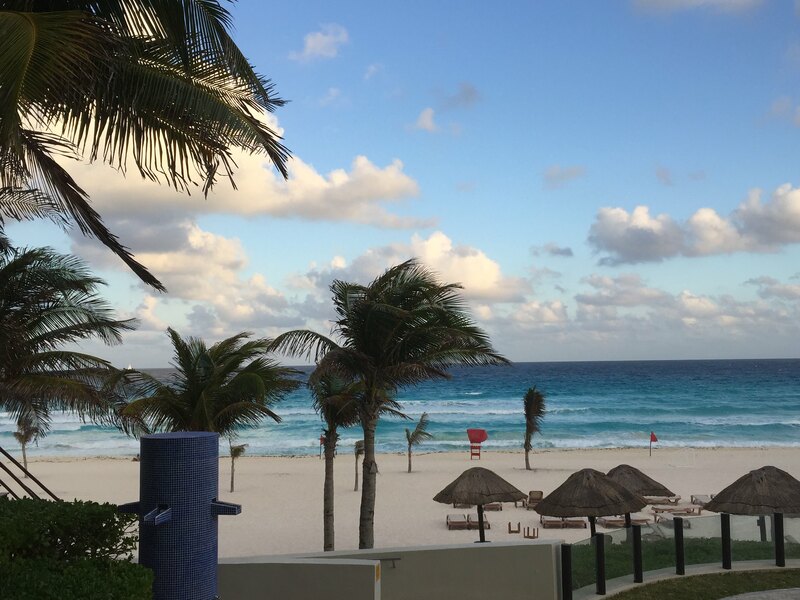 Maybe because we were staying at a huge resort, right in Cancun not somewhere more secluded in Riviera Maya but Cancun was just not what I expected. I felt like I was in Vegas on the beach and although I do love Vegas, it wasn't what I was expecting. 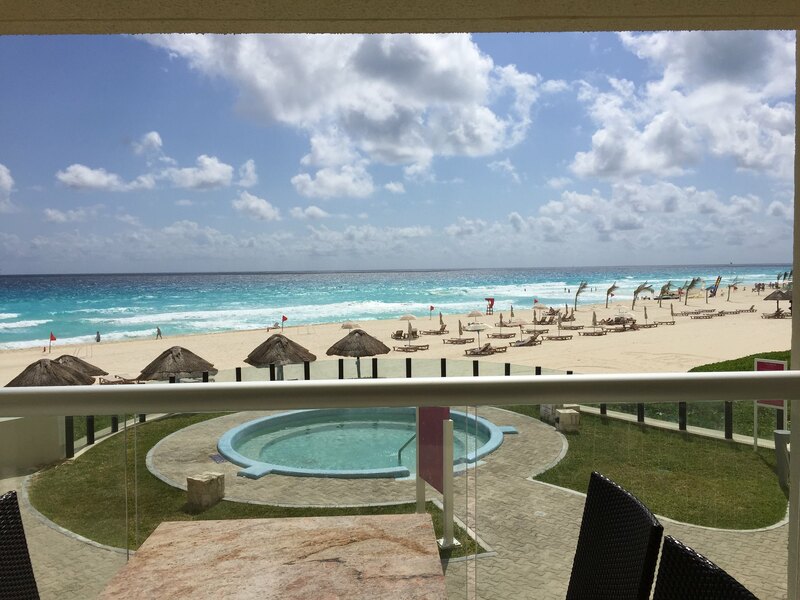 I guess I'm including this in the TR because SO many people RAVED to me about how great Cancun is before the trip and I just never felt the love. The hotel was beautiful and huge but you definitely had to be out early to get a seat at the pool and I kind of felt like how I'd assume it feels to be on a cruise with a bunch of people I didn't want to hang out with yet couldn't escape. Also, a warning to those staying at the Westin Lagunamar in the future. I booked the larger Premium 1BR for our family of 5 and they are VERY strict about maximum occupancy (and I understand why after going to the pool in the afternoon and finding like one empty chair for my whole family). They asked for our passports upon check-in and before I could stop him, my DH handed them all 5 passports. The front desk lady made a big stink about having 5 people in the room and said that we'd have to pay for a 2nd room for an additional $350 a night! I told her that I totally understood their policy and that they might not be able to accomodate us. I pulled up my Hotels.com app in front of her, found a teeny room for like $40 on there and told my husband that he'd have to go at night and sleep there after helping us unpack! After seeing that I called her bluff and that there was ZERO chance of me paying for a 2nd room there she relented and said that they didn't want to separate us and would allow all 5 of us but that we'd HAVE to pay for the rollaway (for like $15...lol) so I thanked her, said I appreciated her trying "so hard" to help us and checked us all in. So again, just a little warning about the Westin Lagunamar and extra kids. If you want to bring more people than allowed just be prepared for some real pushback from them. 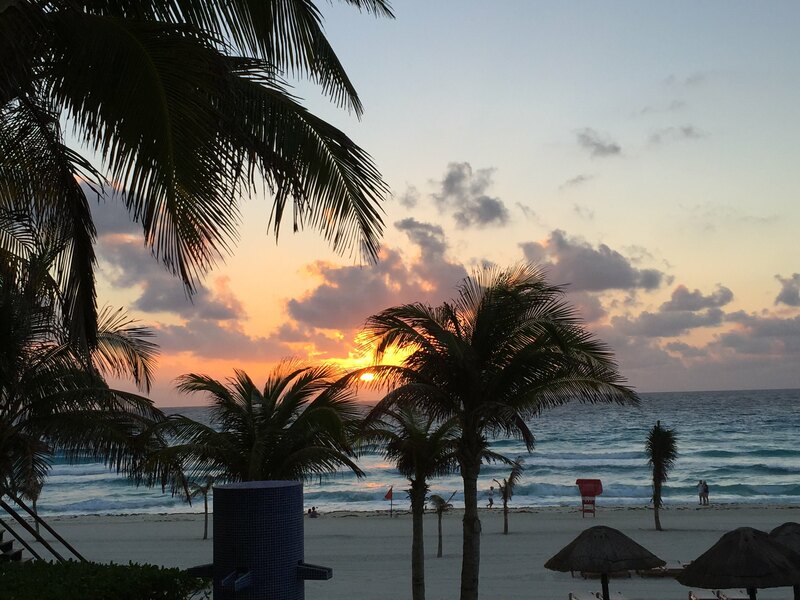 Ok, so why DO people rave about Cancun? Because the water and beach ARE insanely gorgeous! We had traveled to the Maldives just a few months before the trip and even though neither of us are really dying to go back to Cancun anytime soon we did both agree that the beach and color of the water were as beautiful as the Maldives. Below are a few pictures of the view from our room and balcony. It was a truly lovely view. Some final thoughts. 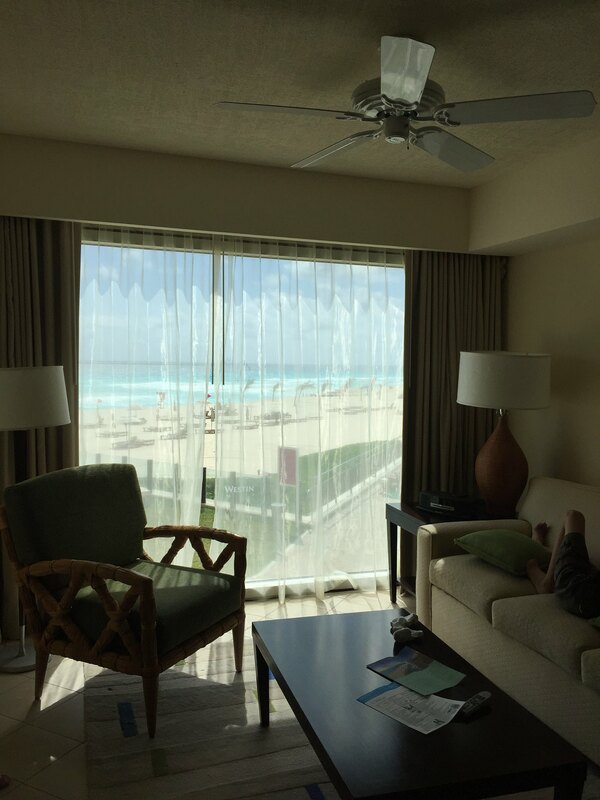 If you are planning to book on Star Alliance, now that United changed their stopover policy, booking on Singapore Airlines enabled us to have this nice stopover in Cancun and if you do want to go to Panama and are having trouble finding flights in either direction, Copa has direct flights from NYC, ORD, SFO, LAX, Roatan island in Honduras (check out SomethingFishy's insane Private Island TR http://forums.dansdeals.com/index.php?topic=81038.0 where he flew into there), San Jose in Costa Rica, Cancun and lots of other places that might be a fun stopover in either direction. All in all, this was by far my least stressful family vacation since I've had kids, where we got to have some great adventures AND relax, eat well and have a lovely Shabbos with a minyan. I can't wait to go back to Panama B"H next summer! Curious to hear opinions on this. With pictures like this posted can you blame them? Pretty easy to get there, just drive west from Kansas City until you pass cow, cow, cow, cow, cow, cow, cow, cow, cow, cow, cow, cow, cow, Cowlarado! Time for a Grand Canyon and Vegas trip for you.